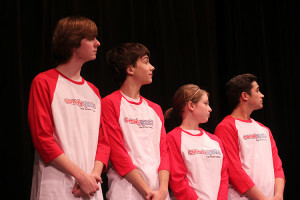 The Cinco Ranch Comedy Sportz High School Leauge team will have a match at Cinco April 16 at 7 p.m. Cinco will be competing against Katy and Taylor High School. Tickets cost $5 at the door. Tickets can be purchased from any Comedy Sportz member before hand.